A quarterly magazine where you can find technical information about the management and dynamics of N, P, K, S and other nutrients in farming systems of the region. 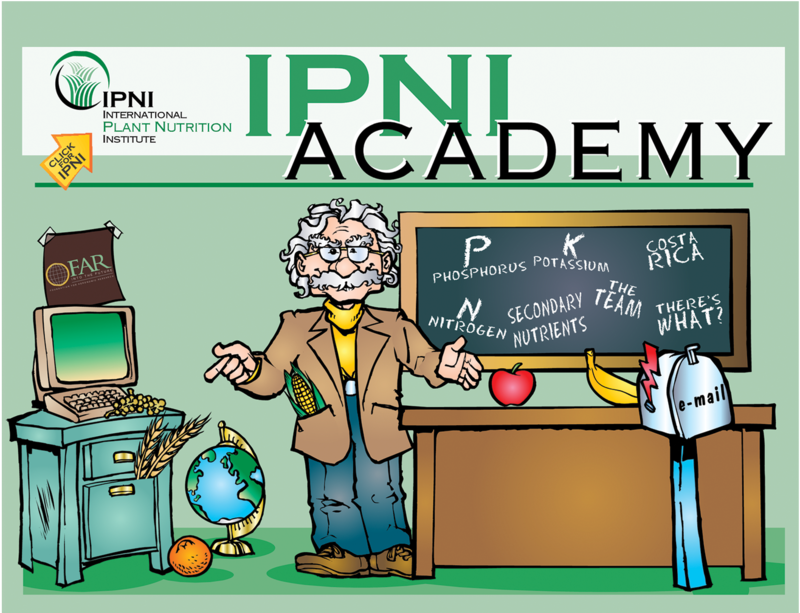 Find all the games for the IPNI Academy online! It’s All about the Food is a teaching resource that contains exciting lessons for middle grade students (fifth through eighth grades); the emphases in each lesson are on problem solving and critical thinking. Lessons are referenced to the National Science Education Standards and contain background information, step-by-step procedures for the teachers, lists of materials, and “Procedure Checklist” and “Data and Conclusions” handouts for the students. The book is filled with lessons about the nitrogen cycle, photosynthesis, how plant nutrition affects the foods we eat, a board game, and problem-solving adventures.